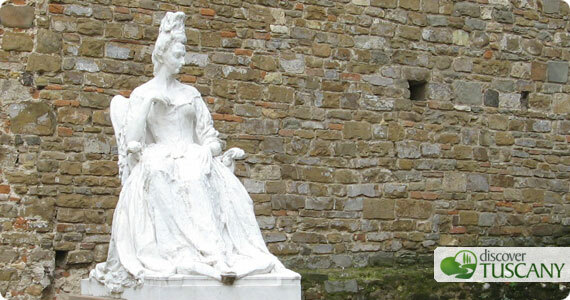 In what has become an annual tradition, the city of Florence honors the last of the Medici, the Electress Palatine Anna Maria Luisa de’ Medici, on February 18, the day she bequeathed all of the family’s immense art collection to the Tuscan state to be enjoyed by all. Anna Maria became Electress Palatine upon her marriage to Elector Johann Wilhem II but produced no heirs. Upon extinction of the family, she established the “Family Pact” in which all of the Medici treasures, including the Uffizi collections, Palazzo Pitti and Medicean villas, were to remain in Florence as the Lorraine family prepared to take over power of the Tuscan state. With this move, Anna Maria Luisa de’ Medici proved to be a very intelligent and “modern” woman as this act ensured the treasures collected over 300 years by the family remained in Florence and not spread out all over Europe upon the family’s extinction. If you love history, you should read more about Anna Maria Luisa here. On Sunday February 17 at 10:40am, the Historical Association of the Florentine Republic, together with city officials will head to the Medici Chapels to place a floral wreathe on Anna Maria Luisa de’ Medici’s final resting place.